This week’s project was more of a creative project where we got to have fun with colors. After watching a couple of videos on youtube, I thought it wouldn’t be as hard as I thought it would be. I was wrong. Those who do graffiti in the streets make it look so easy but it actually takes skills. 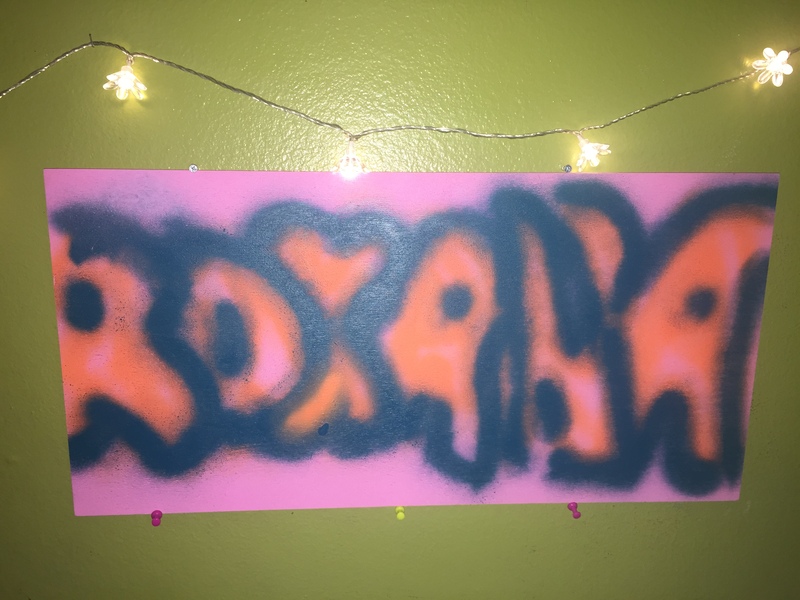 I found it pretty difficult to print my name on the wood because it was my first time using spray paint. Before I started I practiced on paper how I wanted to draw my name. Overall I think it came out alright. It is still something I want to hang in my room. Next time I see graffiti in the street I’m going to think about this project and how it takes real skills to do.